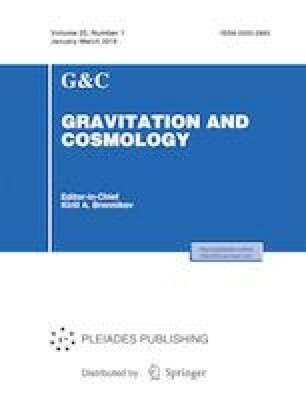 We carry out a detailed analysis and numerical simulations of the evolution of cosmological models based on a doublet of classical and phantom scalar fields with self-interaction. 2D and 3D projections of the phase portraits of the corresponding dynamic system are built. Just as in the case of single scalar fields, the phase space of such systems becomes multiply connected, the ranges of negative total effective energy, unavailable for motion, appear there. A distinctive feature of the asymmetric scalar doublet is the time dependence of the forbidden range projections on the phase subspaces of each field, and, as a result, the existence of the limiting cycles with zero effective energy depends on the parameters of the field model and on the initial conditions. The numerical models are built where the dynamic system has limiting cycles on zero energy hypersurfaces. Three characteristic types of behavior of the cosmological model based on an asymmetric scalar doublet are identified.